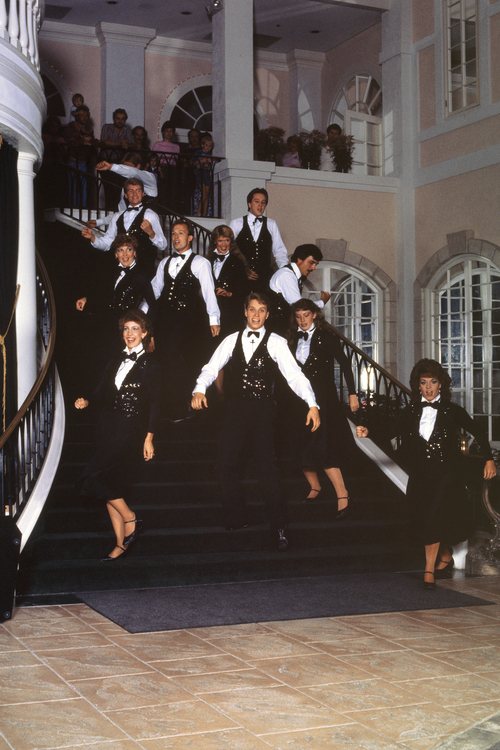 Brian Twede | Courtesy Photos of the 49th Street Galleria circa 1983 and the opening of the Galleria. After 30 years, the glitter Brian Twede | Courtesy Photos of the 49th Street Galleria circa 1983 and the opening of the Galleria. After 30 years, the glitter Brian Twede | Courtesy Photos of the 49th Street Galleria circa 1983 and the opening of the Galleria. After 30 years, the glitter Brian Twede | Courtesy Photos of the 49th Street Galleria circa 1983 and the opening of the Galleria. After 30 years, the glitter Brian Twede | Courtesy Photos of the 49th Street Galleria circa 1983 and the opening of the Galleria. After 30 years, the glitter | Courtesy An artist's rendering of the planned facade for the new American International School of Utah, slated to open this fall Brian Twede | Courtesy Photos of the 49th Street Galleria circa 1983 and the opening of the Galleria. After 30 years, the glitter Brian Twede | Courtesy Photos of the 49th Street Galleria circa 1983 and the opening of the Galleria. After 30 years, the glitter Advertising-marketing photo of 49th Street Galleria when it opened in 1983. photo by Brian Twede Al Hartmann | The Salt Lake Tribune After more than 30 years the iconic glass towers of the 49th Street Galleria at 4998 South 3 Advertising-marketing photo of 49th Street Galleria when it opened in 1983. photo by Brian Twede Brian Twede | Courtesy Photos of the 49th Street Galleria circa 1983 and the opening of the Galleria. After 30 years, the glitter Brian Twede | Courtesy Photos of the 49th Street Galleria circa 1983 and the opening of the Galleria. After 30 years, the glitter Al Hartmann | The Salt Lake Tribune After more than 30 years the iconic glass towers of the 49th Street Galleria at 4998 South 3 Paul Fraughton | The Salt Lake Tribune Jessica Patocka worked as a dog groomer at the Utah Pet Center in March 2008, giving "
Brian Twede | Courtesy Photos of the 49th Street Galleria circa 1983 and the opening of the Galleria. After 30 years, the glittery original 49th Street Galleria towers are coming down. The site, home to a long series of enterprises, is being remodeled for the American International School of Utah, a new charter school. Brian Twede | Courtesy Photos of the 49th Street Galleria circa 1983 and the opening of the Galleria. After 30 years, the glittery original 49th Street Galleria towers are coming down. The site, home to a long series of enterprises, is being remodeled for the American International School of Utah, a new charter school. Brian Twede | Courtesy Photos of the 49th Street Galleria circa 1983 and the opening of the Galleria. After 30 years, the glittery original 49th Street Galleria towers are coming down. The site, home to a long series of enterprises, is being remodeled for the American International School of Utah, a new charter school. Brian Twede | Courtesy Photos of the 49th Street Galleria circa 1983 and the opening of the Galleria. After 30 years, the glittery original 49th Street Galleria towers are coming down. The site, home to a long series of enterprises, is being remodeled for the American International School of Utah, a new charter school. 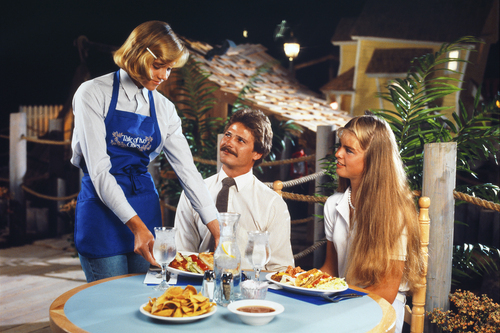 Brian Twede | Courtesy Photos of the 49th Street Galleria circa 1983 and the opening of the Galleria. After 30 years, the glittery original 49th Street Galleria towers are coming down. The site, home to a long series of enterprises, is being remodeled for the American International School of Utah, a new charter school. | Courtesy An artist's rendering of the planned facade for the new American International School of Utah, slated to open this fall at the former site of the 49th Street Galleria. 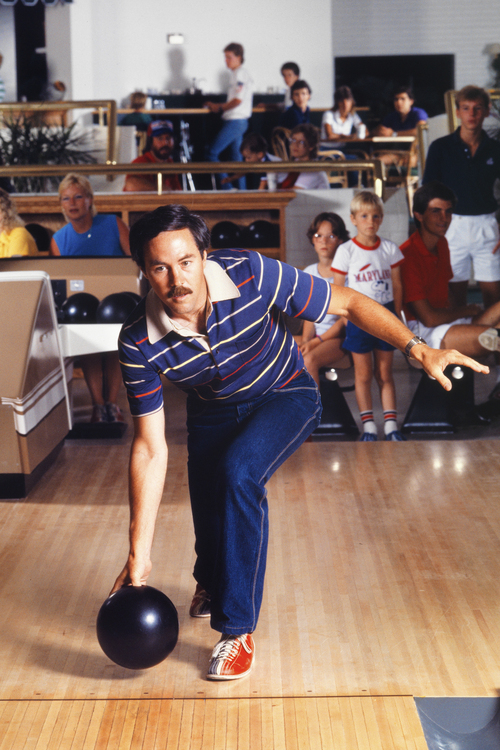 Brian Twede | Courtesy Photos of the 49th Street Galleria circa 1983 and the opening of the Galleria. After 30 years, the glittery original 49th Street Galleria towers are coming down. The site, home to a long series of enterprises, is being remodeled for the American International School of Utah, a new charter school. Brian Twede | Courtesy Photos of the 49th Street Galleria circa 1983 and the opening of the Galleria. After 30 years, the glittery original 49th Street Galleria towers are coming down. The site, home to a long series of enterprises, is being remodeled for the American International School of Utah, a new charter school. Advertising-marketing photo of 49th Street Galleria when it opened in 1983. photo by Brian Twede Al Hartmann | The Salt Lake Tribune After more than 30 years the iconic glass towers of the 49th Street Galleria at 4998 South 360 West just west of I-15 are demolished with a backhoe Thursday March 13. 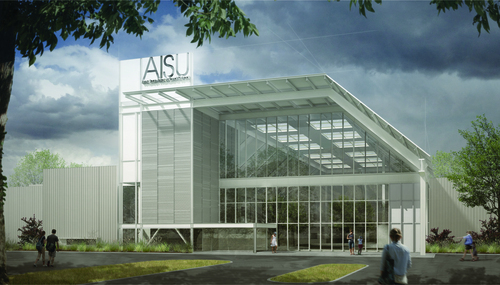 The new American International School of Utah, a charter school, will be built on the site. Advertising-marketing photo of 49th Street Galleria when it opened in 1983. photo by Brian Twede Brian Twede | Courtesy Photos of the 49th Street Galleria circa 1983 and the opening of the Galleria. After 30 years, the glittery original 49th Street Galleria towers are coming down. The site, home to a long series of enterprises, is being remodeled for the American International School of Utah, a new charter school. Brian Twede | Courtesy Photos of the 49th Street Galleria circa 1983 and the opening of the Galleria. After 30 years, the glittery original 49th Street Galleria towers are coming down. The site, home to a long series of enterprises, is being remodeled for the American International School of Utah, a new charter school. 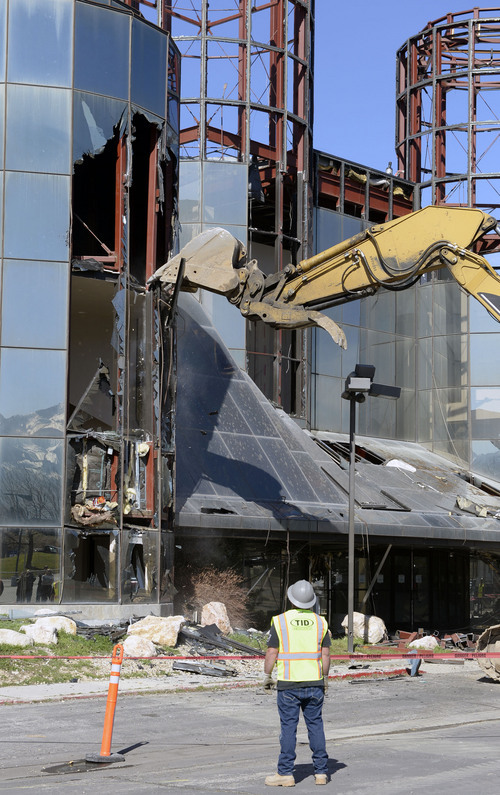 Al Hartmann | The Salt Lake Tribune After more than 30 years the iconic glass towers of the 49th Street Galleria at 4998 South 360 West just west of I-15 are demolished with a backhoe Thursday March 13. The new American International School of Utah, a charter school, will be built on the site. Paul Fraughton | The Salt Lake Tribune Jessica Patocka worked as a dog groomer at the Utah Pet Center in March 2008, giving "Annie" the dog a trim. When fully open the center was expected to have 44 grooming stations, 33 bathing stations and a veterinary hospital. Instead, it closed within months. 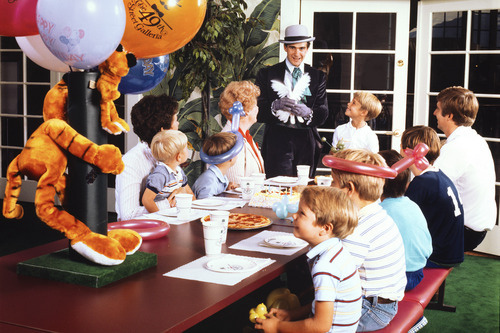 The glittery new 49th Street Galleria drew Wasatch Front kids like ewoks to a shiny C-3PO. 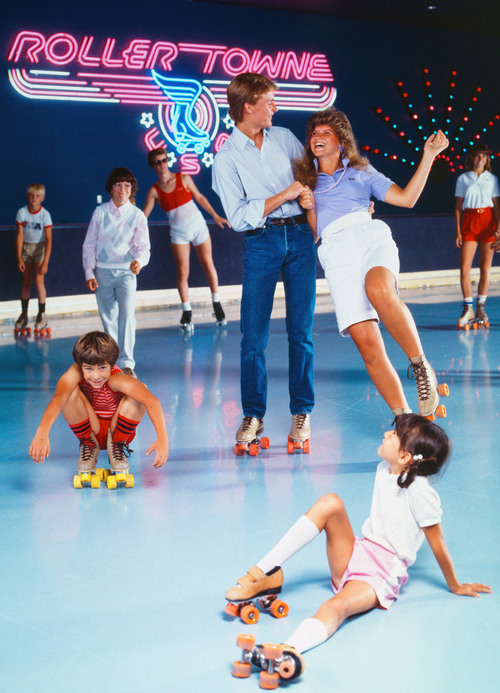 Gliding around the roller rink, tossing bowling balls or hanging in the arcade, kids had a one-stop-shop for fun and an escape from parental units. The Murray center opened in 1983, the debut year for "Flashdance," "Star Wars Episode VI: Return of the Jedi," and Swatch watches. 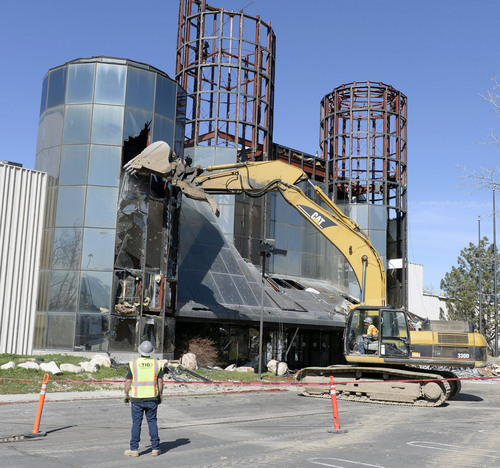 But the site, just off Interstate 15 at 4998 S. 360 West in Murray, has had many reincarnations since then  and for its latest, the iconic mirrored towers are smashing down. Its first reboot was the Utah Fun Dome, updated over time to include attractions like bungee jumping. But the center&apos;s glamour had faded by 2003, when a 4-year-old boy was shot in the stomach there. Three other people were also caught in the line of fire during the altercation and suffered less serious injuries. 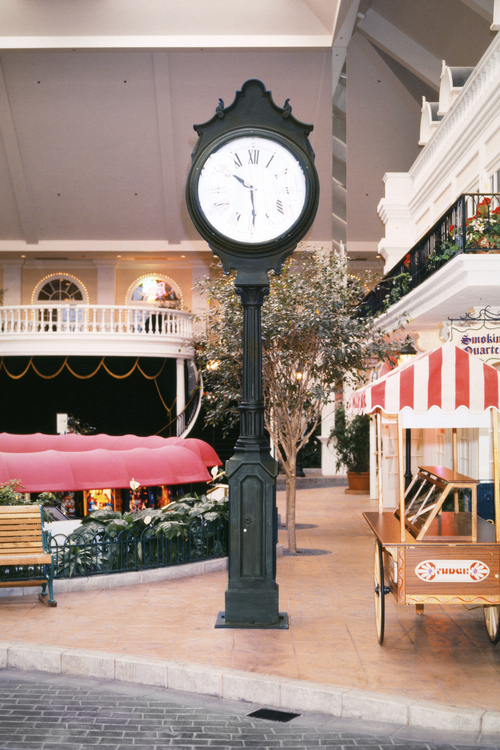 The arcade and carousel were ejected the following spring, as Salt Lake Valley College launched a two-year school at the site. Organizers envisioned offering "fun" classes, such as pottery, drawing and digital photography, along with courses in medical and dental assisting, to working adults, high school graduates and retirees. 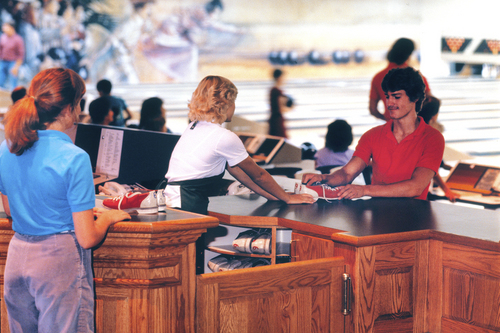 The school kept the 30-lane bowling alley and two 18-hole miniature golf courses as workers began converting about 70,000 square feet into classrooms and computer labs. But the fun was over before it started. "It was never really open," said the school&apos;s one-time administrator, Richard Anderson, in August 2004. "We never had any students." Next up for the building: rebirth as the Salt Lake Pavilion Hotel and Conference Center. "We hope to give people a place to gather for meetings, receptions, weddings and conferences," Anderson said. "There&apos;s a big demand for that." But by 2008, Anderson and the building had moved on again  to "beyond the cutting edge" in pet care. 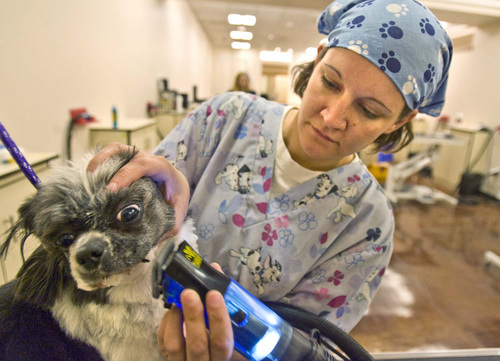 The all-inclusive Utah Pet Center, with veterinary specialists and groomers, will "do well," Anderson predicted in March 2008. "People want to take care of their animals." Plans called for grooming, boarding, general veterinary care and specialty services such as rehabilitation, orthopedics, neurology and oncology; including access to MRI, CT and ultrasound scans. But in October 2008, the center quietly closed its doors and the property has been vacant since. The center is now starting a new life as a K-12 charter school, the American International School of Utah. The school&apos;s organizers are remodeling the building but demolishing the towers, and expect to open this fall. The school will use a Montessori model for children ages 4 through 6, in pre-kindergarten through first grade. Once in second grade, students will begin learning through a blend of online and classroom work, with a focus on projects and personalization. The school will offer high school students flexible hours, full credit once they show competency to allow them to move on, and the opportunity to work toward an associate degree. It will aim to enroll 20 percent of the high school with international students. 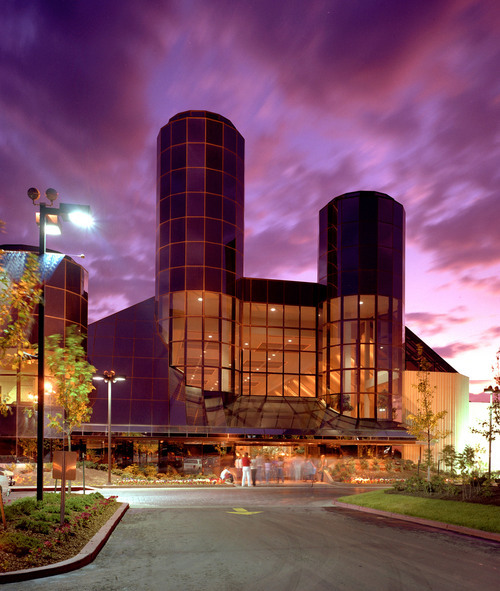 What your memories about the 49th Street Galleria? You can share your story in the comment section below.